This page is part of our FAQs (you are here). These also discusses such things as how My.ComMetrics.com supplements your work with Google Analytics. 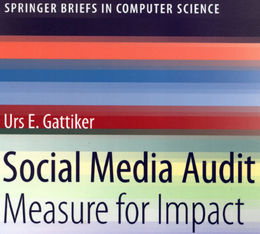 The worlds’s most effective social media benchmarking tool. Sign-up to benchmarkt your blog, website, podcasts – find out how good you are. If you have no blog, just register (see sign-up below) and then click on Trace (upper bar) and enter the blogs you want to trace. If you have a blog, get the 60 days free-trial after you have registered. You should now be ready to benchmark. 2. What are the conditions and terms of service? 3. Can I get different levels of service? Because the weakest succumb first, our recessionary tip is that you carefully assess how effective you spend resources on your social media efforts including your blog. Sign-up and start benchmarking. Remember, the key is watching the trends or what got better or worse over the last quarter and why. 4. What do I do if I incurr an error whilst using My.ComMetrics.com? The first place to start when you incurr an error using our web-based software is to go and look under errors. The explanations given there should help otherwise you are also given the opportunity to send us a message. 5. How can I stay on top of the latest developments and improvements for My.ComMetrics.com? You have two options to stay in the loop. Depending upon the category you assigned your blog to, this decides what top 10 blogs your blog will be compared to. If you forgot to enter a category when you claimed your own blog, the system assigns a default category. Today this is HRM for Human Resource Management. The same happens if you forgot to assign the country (where is your blog’s home country such as Austria but hosted on a server in Belgium = home country Austria). Again a default would have been assigned, such as Germany. Hence, to avoid being compared to blogs that are not in your own category really or not in your home country, please check and revise the entered information for your blog accordingly. The more accurate your information the better we can serve you with benchmarking data that is based on comparing apples with apples. 7. Where is the User Forum? We launched a user forum and if you are interested you can read the About section to get more details how to participate and benefit from the User Forum. 8. I don’t have a comment feed needed for the – how can I get one? Hi I’m interested in learning more about what you do. Do you have a quick and easy demo to refer to or something that’s quick and easy to review, to help explain very quickly what you do? Thanks for posting this comment and raising this important question. First I suggest that you check out the page what can My.ComMetrics.com do for you as a blogger. Second I suggest you visit the site and test-drive the tool My.ComMetrics.com – SMART actionable blog metrics following the KISS principle. So please, register your blog, it is easy. Therafter, start watching the trends. It starts getting interesting – how you stack up against your competitors – after about 30 days. Thanks again for sharing this. Please please let me know if I can do anything else to make this easier.